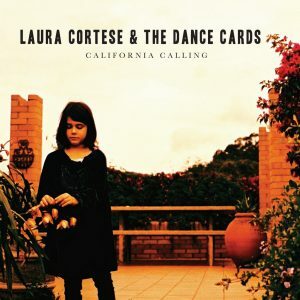 Laura Cortese and the Dance Cards have a vision for their band’s sound: bold and elegant, schooled in the lyrical rituals of folk music and backed by grooves that alternately inspire Cajun two-stepping and rock-n-roll hip swagger. 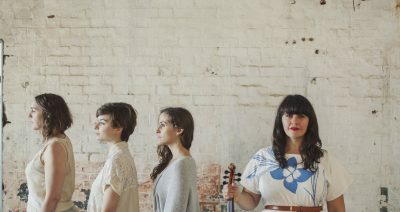 Cellist Valerie Thompson (cello/vox), fiddler Jenna Moynihan (fiddle/vox), and bassist Natalie Bohrn (bass/vox) pair their sophisticated string arrangements and rich vocal harmonies to band leader Laura Cortese’s poignant and powerful singing. For their forthcoming album, the band is exploring their special and less common instrumentation with the support of Sam Kassirer, album producer of folk-pop favorites like Lake Street Dive and Joy Kills Sorrow. The new record has a wide emotional and sonic scope. The four voices are just as much instruments as they are providers for lyric and harmony. At times its rowdy, delicate and cinematic. 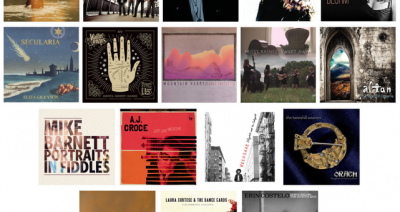 The result is a sound that can start as a string band, and morph into a string quartet, female acappella group, or indie band; all while staying honest and true to their identity as folk instrumentalists. Watching them on the main stage at a summer folk festival, or tearing it up late-night at a club, you get the sense that they might snap some fiddle strings or punch a hole in the bass drum. This is post-folk that seriously rocks. Cortese grew up in San Francisco and moved to Boston to study violin at Berklee College of Music. She has since immersed herself in the city’s vibrant indie music scene and enjoyed a busy sideman career, which has included appearances with Band of Horses at Carnegie Hall, Pete Seeger at Newport Folk Festival, and Patterson Hood and Michael Franti for Seeger’s ninetieth birthday celebration at Madison Square Garden. Her vocals and fiddle have been featured prominently on numerous albums including Rose Cousin’s Juno award winning album “We have Made a Spark”, Arc Iris fronted by Jocie Adams (Formerly of the Low Anthem) and on “Wild Flowers” the newest release by Belgium based Bony King. Jenna Moynihan is an acclaimed fiddler at the forefront of a new generation of acoustic musicians and is a graduate of Berklee College of Music. Her unique style is rooted in the Scottish tradition, with influences from the sounds of Appalachia. Jenna’s love of the music has taken her across the U.S., Canada, France & Scotland, performing with various groups including Darol Anger, The Folk Arts Quartet, Atlantic Seaway, Matt Glaser, Våsen, Hamish Napier (Back of the Moon), Maeve Gilchrist, Bruce Molsky, Fletcher Bright, Courtney Hartman (Della Mae), at Festival InterCeltique (Brittany, France), Grey Fox Bluegrass Festival, and as a soloist with Hayley Westenra (Celtic Woman) at Symphony Hall in Boston. Cellist-songwriter-composer, Valerie Thompson, grew up a classical cellist in a household filled with the music of Bach, The Beatles, The Chieftains and the blues. Entranced by dance music in her teens, she supplemented her formal cello studies by attending summer folk camps and studying Irish step-dance and American clogging. She graduated with honors from the Berklee College of Music and holds a Masters of Music in Contemporary Improvisation from New England Conservatory with honors. She has shared the stage with acclaimed jazz pianist, Fred Hersch; indie-rock icon, Amanda Palmer; multimedia artist, Christopher Janney; and CMH Records’, Vitamin String Quartet (including a guest appearance on CW’s TV show, Gossip Girl.) In addition to performing with the Dance Cards, Valerie has toured nationally and internationally with musical projects Fluttr Effect (world music-infused progressive rock,) Long Time Courting (neo-traditional Irish/ American quartet) and Goli (songdriven chamber duo). Natalie Bohrn is a 2014 graduate of Brandon University’s School of Music. In 2012 Natalie was included among the Women of Distinction at Brandon University, selected by her teachers for her outstanding contribution as a musician to the school and to the province of Manitoba. Before obtaining her degree in 2014, Natalie Bohrn toured professionally across Canada, including points as disparate as the Gulf Islands in British Columbia, Yellowknife in the Northwest Territories and St. John’s, Newfoundland. 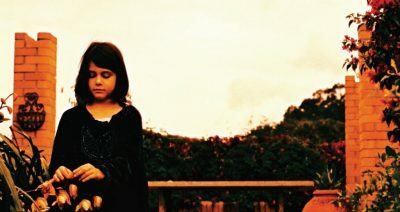 Supporting Canadian post-folk band Fish & Bird, she has played in California, Boston and New York. Graduating from Brandon University “With Great Distinction” in May, 2014 and moving to Winnipeg, Manitoba, Natalie now fronts her own project, records as a session bassist, and plays electric and upright bass for a host of Winnipeg-based bands, including internationally touring folk-blues outfit, The Crooked Brothers. PopMatters Premieres New Laura Cortese & the Dance Cards Music Video: "California Calling"